Tell your story.. Share your vision or successes. Develop your own custom magazine, booklet, portfolio or professional guide to promote your business history, services, products and more. 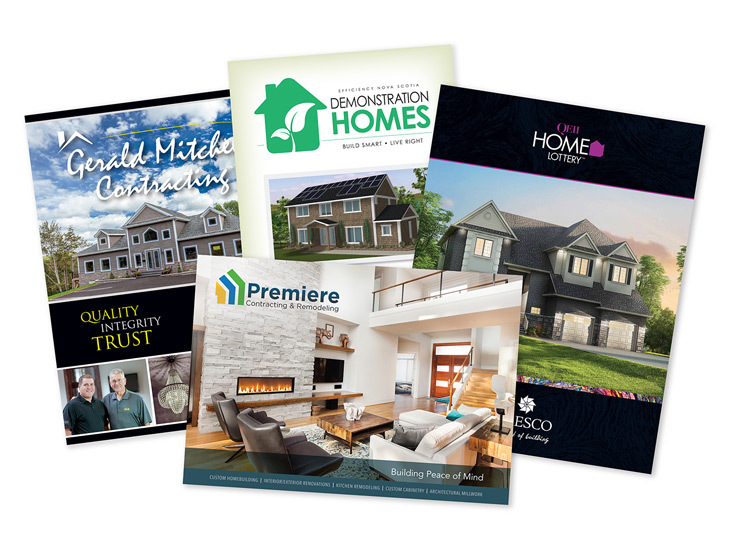 New Homes & Renovations (NH&R) publication series, partnered with the Nova Scotia Home Builders' Association, showcases the Nova Scotian home building, renovating and design industry. Simple and effective ideas based on real budgets. Differentiate your company from the competition through customized graphic design, advertising, communication and marketing support.